A pilot project is underway in Tunisia with the aim to improving agricultural yields. 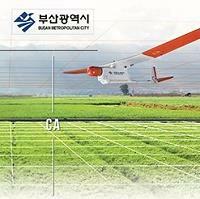 Thanks to South Korean drones that collect data in the region of Sidi Bouzid. It focuses on agricultural operations in the Sidi Bouzid area in central Tunisia. It comprises 3 components: equipment (drones and computer systems), services (development and deployment of the solution) and training (including piloting and maintenance of drones). This pilot project was implemented thanks to a collaboration between the Tunisian government, the South Korean city of Busan, through its Busan Techno Park cluster and the African Development Bank (ADB). If this Tunisian experience reaches its intended objectives, the AfDB would like to see it extended to other countries in North Africa.